THE pioneers of slapdash magic are back on their home turf with their new show, Homemade Miracles. 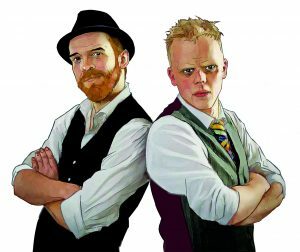 Expect an evening full of fast banter, tight chemistry, contagious energy, and show-stopping wizardry on Saturday 14 July at the Top Bar in the Yvonne Arnaud Theatre. This is just one of more than 100 events lined up for the Guildford Fringe Festival which runs until 29 July – full details on www.guildfordfringefestival.com.